But some gamers still seek out the old-school, pixelated experience. 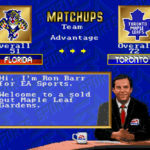 Using emulation software, many play head-to-head via the internet in online leagues hosted by the website NHL94.com. Several of these gamers who still live and breathe NHL ’94 today share their fondest memories of the game. 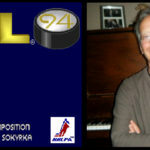 So, did you play NHL ’94 back when it came out in the 1993-94 season, or later on in life? If so, what was your favorite memory of the game? When I think about this game (which I still own for my Sega Genesis) I am transported back to my early days in High School as well. 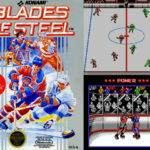 We used to go on hockey tournaments and someone would bring their SNES or Genesis along and we would have that hooked up to the TV in the hotel room long before we would even unpack. Then hours and hours of game play would ensue as we waited for our next game on the ice. Usually someone would be crowned champion of that weekend and then we would do it all again on the next road trip. Great post Sal and thanks for the transport back to fun and simpler times. The “b-button special” as I liked to call it. Skating up the middle of the ice, hitting the center line and “passing” the puck into the offensive zone. Half the time it would just slide right through the goalie and into the net. It got so frustrating at times that we had a no “b-button special” move allowed. I would then just call them “accidents”. I had the PC version of this game. At that time, it came in the box with the near complete edition of the NHL Records Book featuring the Montreal Canadiens winning the Stanley Cup on the cover of that book. The rest of the book was the game manual. (Yes… game manual with good pictures also used to exist). Being myself a Montreal Canadiens fan make this the most amazing complete package ever. I still have the whole thing at home in perfect conditions… the box, the book, the floppy disk and all! The game itself was amazing! The colors, the sounds, the game play… everything from that game was and still is exceptional! I loved the menu design, the waiting screen before the game with the city in the background and the team lines. The nationals anthems and the “elsewhere in the NHL” feature between periods are good memories. So much little details that are missing in modern games. It would be so easy for the game producers to put pictures of the cities you’ll play in or the arena before each game instead of the boring “new in this edition” screen or so. What I liked very much in NHL 94 for PC was the statistic pages… the design and writing font are the best I’ve seen for sports game. And you could see like 50 rows and 10 columns at the same time. Well I could continue for a long time talking about that game… I really need to download it on my PC and play again. Just hope it won’t affect the good memories I have from it. And Sal, congratulations about your articles and the one with JR in the Beckett! I was very happy to read them. By the way, your articles in Beckett are by far the best in years in that magazine!